Pool Services in Vegas – What Company is Right For You? Nothing is better than having a clean pool to enjoy on warm summer nights and weekend barbeques. Having the right pool services company makes maintaining your swimming pool stress-free. Choose the wrong company and you’ll end up paying good money for bad service. How do you make the right choice? 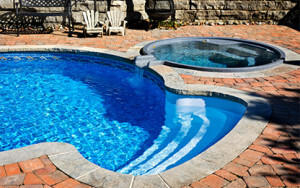 Following these suggestions will help you choose the best pool service for your Las Vegas home. Before hiring any pool services company, find out how long they have been in business. There is a big difference between hiring a couple of neighborhood kids and using a professional company. You will likely be living in your house for many years to come, a pool service company who only opened up last month may not be a long-term partner. It is also important that the company you choose has the experience to properly handle pool chemicals. Using too little or too much will cause your pool water to be unpleasant and unswimmable. A company that has been serving customers for decades has an established record of professionalism you can trust. Is a pool service contract required? Some companies require you to sign a service contract before doing any work. This is usually a bad idea. You’ll be locked into keeping the company for a set amount of time without even seeing how well they maintain the pool. It can take several weeks to a few months to properly judge how well a pool service company is doing. Any company can clean a dirty pool, but keeping a pool spotless over time take real skill. Don’t sign up for a contract only to be disappointed month after month. Choose a company to doesn’t require contract so you have more control. Your swimming pool is an important part of your home and a valuable investment. Trust it’s care and maintenance to a professional pool service company with decades of experience in Las Vegas.